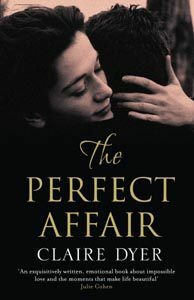 Torn between love and duty, is it ever possible to have the perfect affair? A timeless love story about how impossible love can become possible. Rose knows only too well the exhilaration and devastation of loving a married man. So she watches with a keen eye as Eve – her closest companion, the granddaughter she never had – meets Myles, the new tenant in her downstairs flat. Quietly and softly and against the backdrop of their own unsatisfactory marriages, Myles and Eve fall in love. And, as they try to have the perfect affair like Rose did before them, they come to learn about the pain of lost opportunities, to decide whether it is ever better to follow your head or your heart, to know what it is to be torn between love and duty.